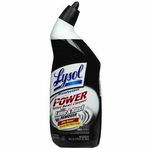 This is best bathroom cleaner! If you want your bathroom clean and to smell fresh use this and this only. You don't need any other products. This alone will do the job. But I like to spray Lysol after just for germ purposes. You spray scrubbing bubbles wait a few mins and wipe. This stuff will clean the scrum out of your shower with no elbow effort!! I love this stuff. Cleaning is tiresome at times and this helps cut back the time and effort!! When you watch the commercial where it says to spray and walk away then wipe and scums is gone? Nope. I have to be the scrubber for the scrubbing bubbles. I like how it foams and I like the scent but that's about it. I still get down on my knees and use a sponge to clean the shower and tub. Not too impressed. All you have to do is spray it on the area you want to clean, let the foam sit for about a minute or two then wipe. It's that simple and easy to use. 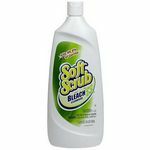 If you are looking for something with less chemicals I wouldn't recommend it, but if you are looking for a quick way to clean basic messes, this is the product for you! It makes the gunk slide right off. As someone who hates getting on her hands and knees and scrubbing things (and with a baby and multiple pets I don't usually have time to do so), scrubbing bubbles is right up my ally. Cleaning the bathroom is seriously fast with this. I spray it in the toilet, sink, tub, quickly scrub and flush the toilet, rinse the sink with a cup, spray the tub down with the shower head and viola! Performance I don't use this for anything much besides soap scum, but it works great! I have a very large deep tub and it is difficult to clean without killing my back or climbing in and getting my feet wet if anyone has bathed recently. With scrubbing bubbles I can easily clean the tub just by spraying it down and rinsing it with the shower head, the tub gets clean in seconds! Scent This product has a quite a harsh chemical smell, but lightly spraying some air freshener right after use gets rid of it. I rarely talk bad about any product, and always used to like Scrubbing Bubbles products, when I had city water. I have well water now and there are tons of iron stains in the bathroom. I thought for sure Scrubbing Bubbles Foaming Bathroom Cleaner would get the hard water stains off, but I was deceived! Do not get me wrong, if you have city water, Scrubbing Bubbles is a great brand, but just not with hard water. I do not think it even helped the stains at all! I had to use Snobowl toilet bowl cleaner to really get the hard water stains off of my tub! Not to mention, the scent is almost as bad as bleach! I do believe that at this point, I have completely lost all my faith in the Scrubbing Bubbles brand of cleaners. I do not recommend this product! Performance While it is good for city water, if you have hard water, I would not recommend this product! Scent I do not like the scent at all. It seems more harsh than anything. I'm often disappointed by cleaning products. The stubborn stains on everybody's shower floor, in and around the non-slip stuff that's mandatory in every standing shower, drives me insane. I don't think it's been completely white since I bought the house new. So, whenever I run out of bathroom cleaner, I get a new different one to try to attempt removing those stains. I had high hopes for Scrubbing Bubbles. I've had great results cleaning the toilet bowl and et cetera with it in the past, and it always makes the bathroom smell really clean. But, every product so far has failed to remove those stubborn stains. Oh, well. I'll try another one. Anyway, it works fairly well as a bathroom cleaner, and I always feel like it's really disinfecting and working really well. Performance Smells great, really gets the toilet bowl clean. Scent It really makes the bathroom smell fresh and clean, not as bleach-y as these products usually are. Nothing smells better than a freshly cleaned bathroom. 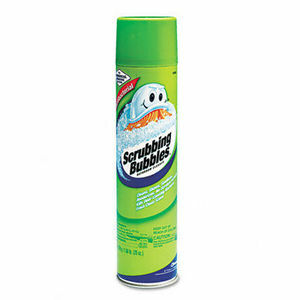 I have been using Scrubbing Bubbles Foaming Bathroom Cleaner for quite a few years now, and all I can say is that it gets the job done. Here's how easy it is to use. Spray it on your tile or tub or whatever you are cleaning. Let it sit as it foams up. Use a clean cloth or paper towel to scrub a little. Mold and mildew along with any dirt comes off. I use this in my bathroom, where it is meant to be washed, but I also use it on my stainless steel kitchen sink. Whenever I have to clean some dishes in the sink (dishwasher is too full) or I want to clean some vegetables, I use Scrubbing Bubbles to clean up the sink first. Spray it on, let it foam, clean it up with a paper towel. My sink is so clean and shiny afterwards and I feel safe using it for cleaning vegetables or dishes. It works well in hard water, and it also cleans up the mineral stains that I get in my tub. The only reason I didn't give it a 10 is because I do not like the smell of this product, but that could just be me; it doesn't seem to bother my husband. I also like the fact that there are many sales on this product at my local drug store, and I can always find coupons to bring the price down a little more. Performance There is a mineral stain that my bathroom fixtures get that is very difficult to clean up, and it takes a lot of elbow grease to eliminate it even with the Scrubbing Bubbles. Scent The scent really bothers me. It smells kind of fishy when I use in on my kitchen sink. Like I said up above, it doesn't bother my husband, but I really don't like it. I will put up with it, however, because of the good job it does. Scrubbing bubbles don't really scrub. I buy this product on an infrequent basis, I forget that it really doesn't perform as I hope it would. The name always tricks me. I keep hoping it will actually scrub something, but it is only a gentle cleaner that is only effective on just general cleaning, rather than tough cleaning issues. I don;t use it on a regular basis, because I don;t find it as effective as I need it to be. It does however, work well on just simple and easy cleaning tasks. It smells ok, but nothing to really write home about. The spray is foamy, which I do like. It applies to surfaces well and stays there until you're ready to scrub it off. It does seem to work a little stronger if you leave it on the surface for a little while before wiping it off. I only buy this when it goes on sale, and that's only because I keep hoping it will work better than the last time. Overall, it's not a bad product, it just isn't as effective as my needs require. 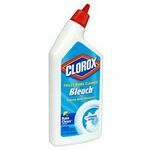 I have used this product on and off over the years as a bathroom cleaner with pretty good results . It has a really nice clean fragrance with no overpowering chemical or flowery scent - just like a clean lime scent . I have used it clean my bathroom sink, tub and toilet . 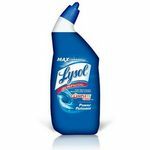 In a pinch , it will even shine up a linoleum in the bathroom if you want just one cleaner that does it all , this is a pretty good choice . The price is a little high unless on sale or you have a coupon so it is not something I buy every month but when I have bought it ( many times over the years) , I have always been quite satisfied with its performance . It is a quality product that cleans and shines - it is not fantastic on deep cleaning a tub that has hard water stains or rust but for the ordinary upkeep of sinks and toilets , it is perfect for getting the job done . 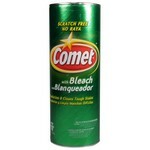 A tub and shower doors require something with a little more power like Tilex or something more abrasive with bleach added but this is good for a quick bathroom cleaning and it will make your faucets really sparkle .